I am very excited to tell you about our big summer knit graffiti project K2TOG – Knit 2 Together. This summer we will be covering the columns on the exterior of Birmingham Museum and Art Gallery to celebrate the visit of both the Jamaican and American Olympic teams. 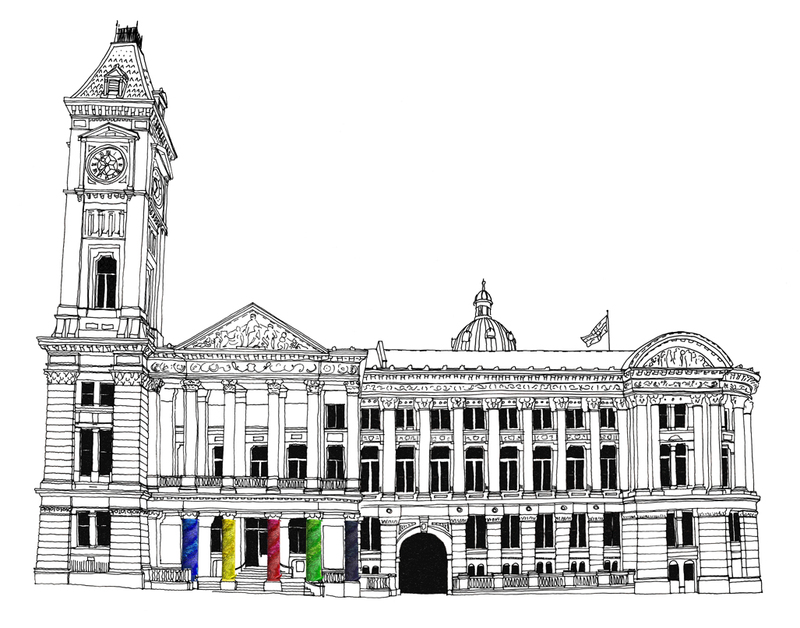 A palette of 6 colours (red, white, blue, yellow, green and black) will be used to create the installation. The colours are taken from both team’s national flags and are also the colours used in the Olympic rings logo. The project has been selected as one of the Kalaboration commissions. To help make the work we will be calling on all of you stitchers to knit or crochet pieces for the final installation. More information on that later. Right now we need your help to raise £2500 for the project. The money raised will help fund workshops in order for the piece to be made. We will be going out into the local community in order to pass on the skill of hand knitting to those who have little experience of traditional crafts. The money raised will also help fund a pop-up shop in the Mailbox, Birmingham, a relaxing drop-in space where anyone can come to contribute to the piece and find out about the project. Staff will be on hand to teach basic knitting skills and local workers can pop-in over their lunch hour or after work to knit a square or just a few rows. 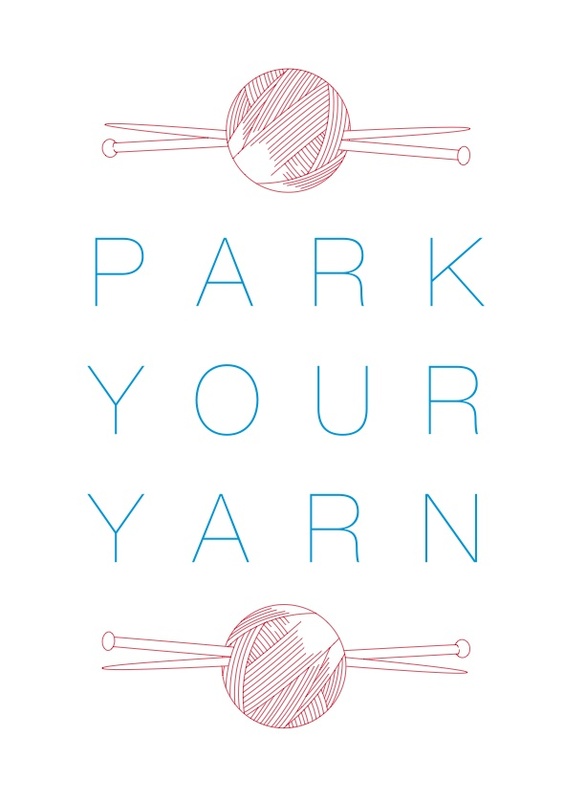 I’m looking for people to make pieces for our new knit graffiti commission Park Your Yarn. I am working with Rachael Gwilliam from Art Yarn and Wolverhampton Art Gallery to transform St Peters Gardens in Wolverhampton. 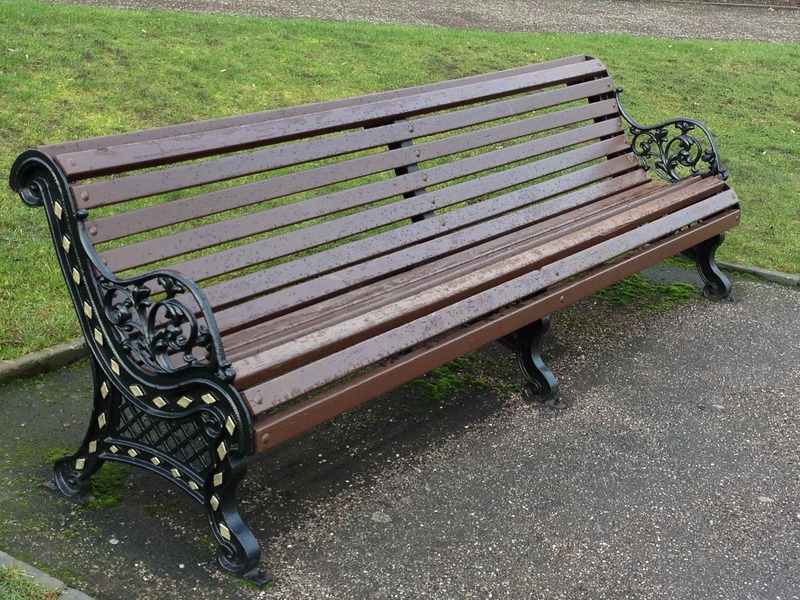 For this I am planning to cover 15 benches which are dotted around the gardens. As ever I need your help to knit pieces. If you are interested in taking part there are a serious of drop in workshops over the next 3 weeks in various locations around Wolverhampton. I’ve recently won a yarn bombing commission from Wolverhampton Art Gallery to decorate St Peters Park in Wolverhampton. I’ll be holding a series of workshops around various venues in Wolverhampton teaching people how to knit and getting them to help me produce the knitting needed for the installation. For more information on how to get involved visit the site. Last week was our regular monthly hootenanny. Once again its great to see so many of you come along to stitch, knit or crochet. I met Sheila Arthurs, an artist who is working with Friction Arts to create a knitted & crocheted coral reef based on an original project The Hyperbolic Coral Reef which was created and curated by Christine Wertheim and Margaret Wertheim of the Institute for Figuring in Los Angeles. (There will be an opportunity for people to take part, but I couldn’t find anything online to link to). A big thank you Gemma and Helga for providing sounds to stitch to. It was the second time they had DJ’ed for our hootenanny, their last outing being exactly one year before. Even a pile of CD’s without cases wasn’t enough to stop them playing their mix of 80’s pop, Birmingham gems and feel good classics. Our next monthly hootenanny is on Tuesday 27 March from 7.30pm. We have sounds to stitch to by Friends of the Stars who’s new album Faith’s Meat Kiosk is out on 23rd April 2012.